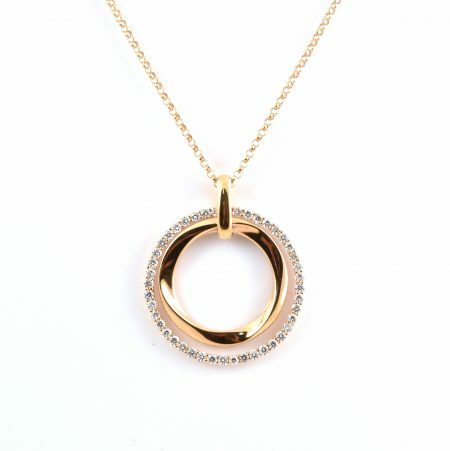 18K rose gold double circle diamond pendant. Made with one slightly twisted circle and one circle which is claw set with 44 round brilliant diamonds. The pendant is suspended from an 18K belcher chain.